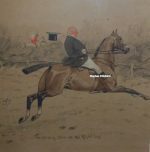 The Snaffles prints below represent a selection of the many Snaffles Hunting, Racing, Military, Pig Sticking, Indian or Polo prints available. 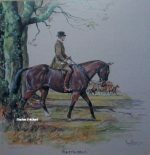 If there are any Snaffles prints or paintings aka Charles Johnson Payne in particular that you are looking for, then please contact us on 07889 800857. Charles Johnson Payne (Pseudonym Snaffles) was the fourth of a bootmaker’s eight children and from his youth developed a passion for all things Military. He tried to enlist in the army to fight in the Boer war, but was rejected on the grounds that he was too young. 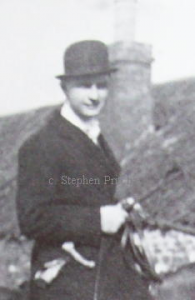 Eventually, Payne joined the Royal Garrison Artillery at the age of 18 as a gunner but in 1906 he was forced to leave because of illness. However, his time in the army was influential, as his first recorded works of semi-caricature portrait date from this time. Invalided out of World War One he took a job as a war artist for The Graphic and it was during these years that he produced some of his finest military work. 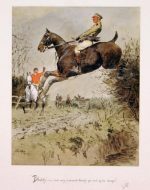 After the war his work became more varied, although he still often contributed to The Sporting & Dramatic News. 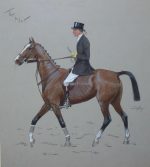 It was as a sporting artist that Snaffles built his reputation and, after the War, he worked on the Hunting, Shooting, Polo, Horse Racing and Fishing subjects which made his name. 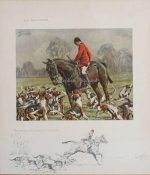 The classic series of Pig Sticking prints he completed in India in the 1920s are perhaps the images for which Charles Payne is best known and his depictions of Military life in the Raj are second to none.